ENVELOPE : Box Type Envelope Made From Gold Color 250 gsm Shimmery Finish Paper with Red & Gold Color Printing. MAIN CARD : Red Color 250 gsm Premium Satin Fabric Paper With Raised Gold Color Printing. Main Card Has A Laser Cut Motif on Middle with Bride & Groom Initial. 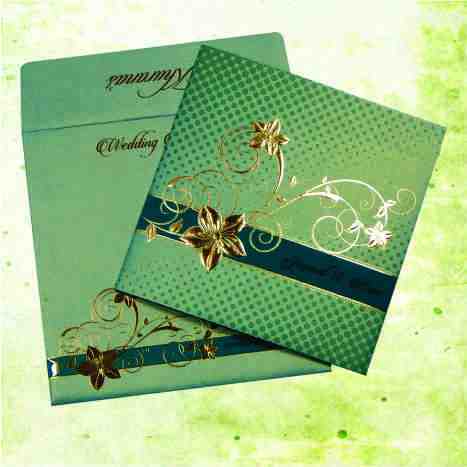 INSERTS : Matching Color Double Layered Inserts, 250 gsm on Shimmery Finish Paper.